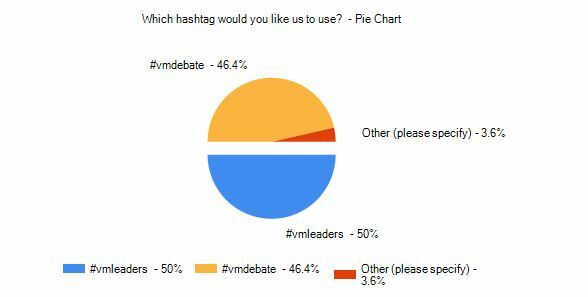 We’re continuing to develop our Why #votingmatters chat and this time we worked with e-voting software specialists mi-voice, to help us choose a chat hashtag. Much like the expected outcome of the 2015 general election itself, the vote was finely balanced. In the lead up to the debate the core Emilymatters team researched the various political parties and we encouraged others to get involved. We received tweets from across the UK with links to relevant articles and clips as well as blog posts. Phil Hodges sent us his summary of what Labour has to offer young people, whilst Rachel Collinson, who I met at the recent Women in Parliament event, sent in her summary of the Greens policies for young people. 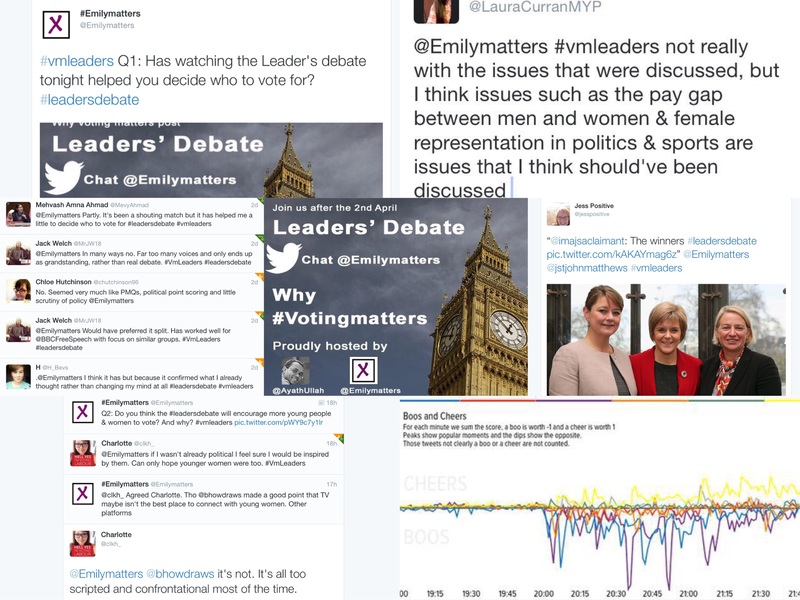 If you missed the Leaders’ debate and want a brief introduction to each of the 7 leaders, see our pre Why #votingmatters chat post for 15 second clips (from the BBC Election team) about each of them, as well as links to further information. The Why #votingmatters chat format is constantly under development in response to your feedback. The televised debate clearly got people talking, but did it reach out to those who feel voting doesn’t matter? And did it change how people planned to vote? So over all, the #vmleaders participants felt the Leaders’ debate had positive outcomes – from the impressive performance by the 3 women leaders, to tackling the debate’s shortcomings – not reaching out to those who don’t plan vote or the lack of focus on issues that matter to young people and women. A rising tide carries all boats, or in this case votes. The Emilymatters team includes young political activists and we continue to build partnerships with other campaigns and organisations, including the WEA, The Peoples’ Politics, Fawcett BSE and now mi-voice. We’re planning the next stage of the campaign, working alongside @RegistHERtoVote, which will include an exciting new campaign to encourage more young people and women to vote.